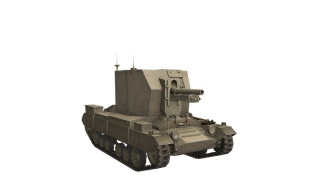 Developed on the basis of the Valentine tank. The standard turret was replaced by a stationary box-shaped cabin that featured a 25-pounder howitzer. Due to the low gun elevation angle (15 deg), the maximum firing range was only 5,800 m, which is only half as long as its firing range in the towed state. 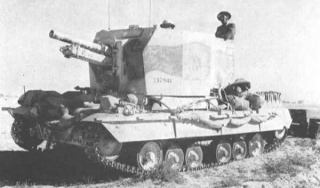 The SPG saw combat in North Africa, Sicily, and South Italy. According to various sources, a total of 80–100 vehicles were produced. The Bishop feels like a major leap back after the versatility of the Birch Gun; you no longer have a full traversable gun mount, but are forced to deal with a very narrow gun traverse; it has a pitiful range for both guns; and it has a fatally tall silhouette. Its saving grace, however, is better protection and HP than its predecessors, being based on the hull of a Valentine. Further, its second gun is considerably better than the 25-pounder adding capabilities to make shots few SPGs can make, and thus more map versatility. Play the Bishop like an SU-5; move up with the rear lines of your team, and bombard targets of opportunity. Even if you are spotted, you can survive a decent amount of fire while retreating. - Stock gun has terrible elevation on flat terrain, you must use an upward slope to increase gun range and hence relies on map terrain. (Only about 15 degrees). - Superstructure is not as well-armoured as the hull, and flat. 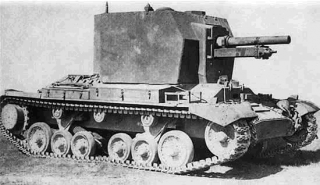 The Bishop is often derided as a terrible SPG due to its slow speed and large silhouette. 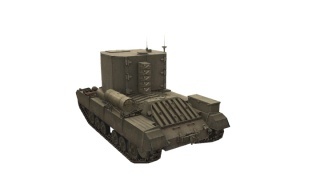 Many players view it as merely a stepping stone to the often fondly regarded tier VI British SPG, the FV304. Contrary to this view, the Bishop is actually one of the best SPGs in the mid tiers. The 25 pounder stock gun is not much different from the Birch Gun. Its poor range is actually due to the gun elevation rather than the gun's actual range. This also has the other effect of its shells travelling in a low arc, thus lowering damage. Thus, one way to get around this is to either move up with the team, or find an upward slope to position yourself. Having a high silhouette sometimes discourages the former, so it depends on how much risk the player is willing to take. The 4.5 inch howitzer transforms the Bishop into a deadly opponent in the hands of a skilled artillery operator. It is a key reason why this SPG carries an average damage per battle rating higher than that of 90% of all other tier V vehicles and 40% of tier VI. The upgraded gun offers much more damage, though at the expense of not being able to equip AP ammo. 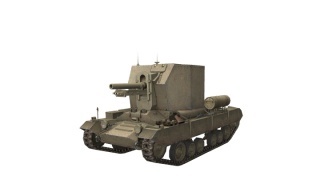 This is not a severe limitation, as the accuracy of the gun allows it to very accurately target the often weakly armored engine decks of heavy tanks, and the open cockpits of some TDs. The shell trajectory of the upgraded gun is extremely high, with rounds fired at maximum range dropping in close to vertical. This is key; firing at close range puts you at visibility risk and negates the high arc value of the upgraded gun. With the gun firing at near maximum range, it is capable of dropping shots behind hard cover frequently used by players trying to defend themselves from SPGs. Enemy players think they are safe, but the Bishop makes them pay for that mistake. This gun is capable of firing over even the highest of mountains in the game, such as found in Cliff, Fjords and Lakeville. Even Himmelsdorf, often the bane for low arc SPGs, becomes a playground for the upgraded gun on the Bishop. With a rapid reload speed for an SPG, the Bishop is capable of tracking an opponent and firing again before the track repair is completed. The Bishop's main weaknesses are its slow speed, track traverse and very limited gun traverse. With the limited range of the upgraded gun, the astute Bishop driver will usually be forced to pick a flank to cover before the sorting out of the team has fully completed. If you end up on an abandoned flank, the slow speed makes repositioning to the other flank time consuming, keeping your powerful gun out of the battle. While the Bishop's armor is very thick for an SPG in the mid tier, the slow track traverse and tight gun traverse makes self defense difficult. The situationally aware Bishop driver will keep an eye on the mini-map for enemies breaking through, and prepare for a scout tank bent on taking out artillery. 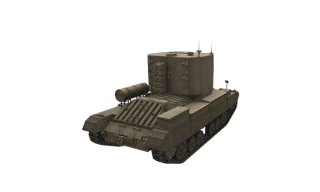 The powerful upgraded gun on the Bishop can one shot light tanks in most situations. However, one shot is likely all you will get for self defense, as the low track traverse speed and limited gun traverse will make getting another shot off very difficult indeed. If you came from the Birch Gun, the WS No. 19 Mk. III Radio carries over. Mount it immediately. You should first research the Bishop suspension. If you came instead from the Valentine, the GMC 6004 6-71A Engine and WS No. 19 Mk. II Radio carry over. However, only the radio can be mounted. You should first research the Bishop Suspension, followed by the WS No. 19 Mk. III Radio. Research and mount the Q.F. 4.5-in. 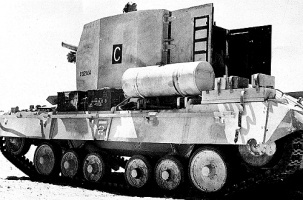 Howitzer, even before upgrading your engine as the upgraded gun is what transforms this SPG. 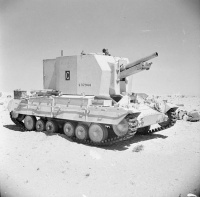 The rapid manoeuvre warfare practiced in the North African Campaign led to a requirement for a self-propelled artillery vehicle armed with the 25 pounder gun-howitzer. In June 1941 the development was entrusted to the Birmingham Railway Carriage and Wagon Company. A prototype was ready for trials by August and 100 were ordered by November 1941. The result was a vehicle designated Ordnance QF 25-pdr on Carrier Valentine 25-pdr Mk 1 and universally known as Bishop. The Bishop was based on the Valentine II hull, with the turret replaced by a fixed boxy superstructure with large rear doors. Into this superstructure the 25 pounder gun-howitzer was fitted. 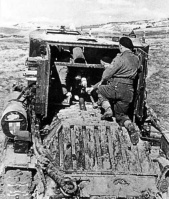 As a consequence of the gun mounting the resulting vehicle had very high silhouette, a disadvantage in desert warfare. The maximum elevation for the gun was limited to 15 degrees, lowering the range considerably to about 6,400 yards (about half that of the gun on its wheeled carriage), the maximum depression was 5 degrees and traverse 8 degrees. Since this vehicle was designed as an anti-tank artillery piece, this range was devastating. 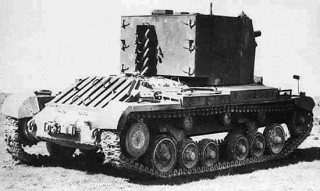 In addition to the main armament the vehicle could carry a Bren light machine gun. 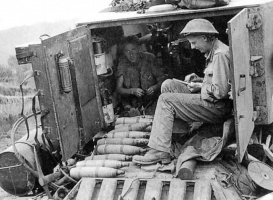 By July 1942 80 Bishops had been built, and as the last 20 were being built an order for a further 50 was placed, with an option for a further 200, but the tender was abandoned in favour of the American M7 105 mm SP gun. 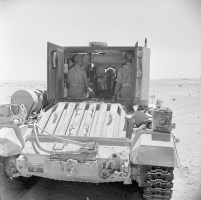 The Bishop first saw action during the Second Battle of El Alamein in North Africa and remained in service during the early part of the Italian Campaign. Due to the aforementioned limitations, compounding the Valentine's characteristic slow speed, the Bishop was poorly received almost universally. 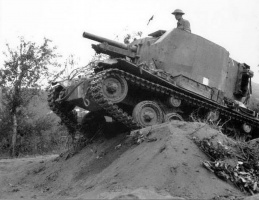 In order to compensate for insufficient elevation, crews would often build large ramps out of the earth - running the Bishop onto these tilted the whole vehicle back effectively gaining extra elevation for the gun and increasing its maximum range. It was replaced in service by the M7 Priest (105 mm) and Sexton (25-pounder) when those became available in sufficient numbers, and surviving Bishops were diverted for artillery use. 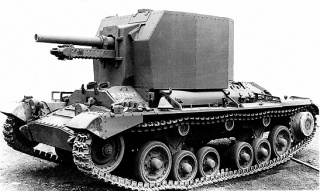 The 4.5-inch howitzer was only used on the BT-42, a Finnish assault gun. It was never developed for the Bishop. The Bishop was replaced in service by the M7 Priest and Sexton II. In World of Tanks, however, the Bishop is two tiers higher than the Sexton. This page was last modified on 28 March 2018, at 07:14. This page has been accessed 94,504 times.